Greg has 25 years of experience in the planning and design of the public realm, with an emphasis on implementation of sustainable-built landscapes and urban waterfront environments. His project experience spans waterfront parks, marinas, master planned communities, urban revitalization, streetscapes, parks and recreation facilities. Greg was a principal of the Chicago office of EDAW AECOM, one of the most prominent planning and landscape architecture firms in the world. 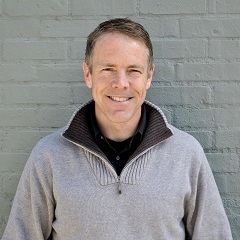 He has worked on internationally significant projects including the Port of Rochester Marina in New York, 31st Street and Gateway Harbors in Chicago, Centennial Olympic Park in Atlanta, the Olympic Village for the 2000 Olympic Games in Sydney and the redevelopment of Denver’s Stapleton Airport into an award-winning urban infill residential community incorporating traditional neighborhood design strategies. In addition, he is the one of the owners, developers and operators of One 15 Brooklyn Bridge Marina in New York City.